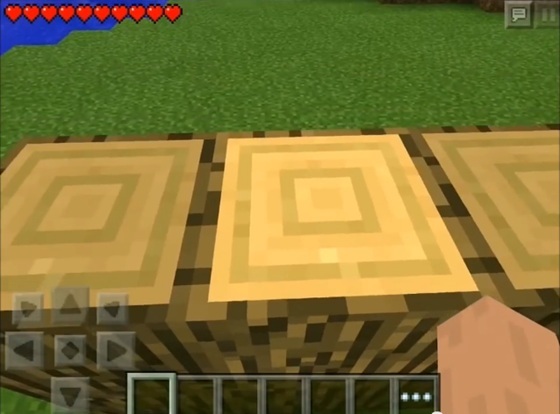 How to make a Minecraft PE double jump? 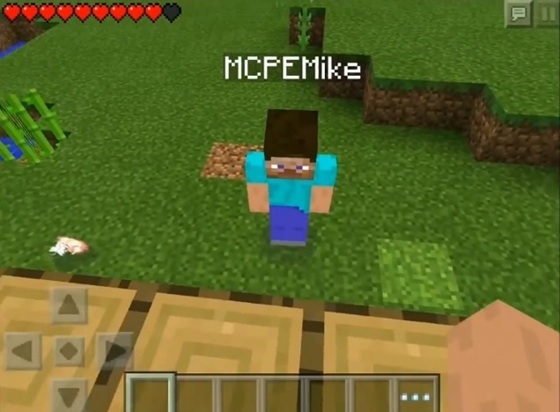 For-Minecraft.com » Minecraft Pocket Edition » How to make a Minecraft PE double jump? 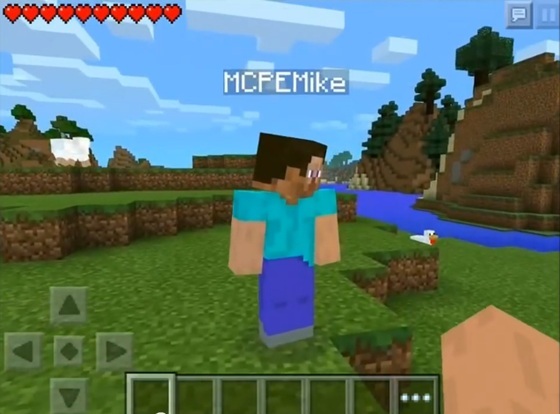 Hello everyone, today I will show you how to perform a double jump in Minecraft Pocket Edition, without using any third-party programs, cheat or jailbreak. First of all you need a second device with a game in general, you need two players, and this is my second player. And, as you already know, in Minecraft you can jump to only one block in height, but today I'll show you how to jump high two blocks without using mods. Stand in front of the two blocks that you want to jump, and then make sure that the second player came up to you from behind. Then, point the camera at the two blocks in front of you, go up to him and start jumping. At the moment of the jump to the second player has to hit you, and that you jumped up into two blocks, that is, made ​​a double jump. That's all, in general, you need only the second person to be hit by you at the time of the jump, and then you jump to a height of two blocks.